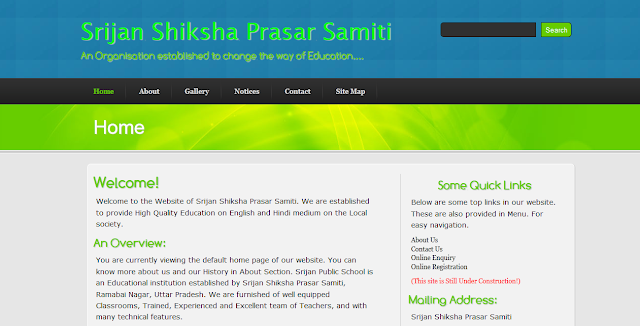 http://www.srijanshiksha.com and send me your feedback or suggestion. This site is still under Development. Graphics for Website is still not ready, so this is Less Graphic version. As soon I will change this to New Look, I will Post Here..